Indices is a plural term of an index. Index is as you may have heard a group of companies. So we are trading the overal performance of a given group of companies. In United States there is a most known S&P 500 which contains 500 most largest and publicly traded companies. The overall index value will move up or down based on the performance of the companies that are in the given index.We also have different indices in different countries around the world, so lets name a few of them. 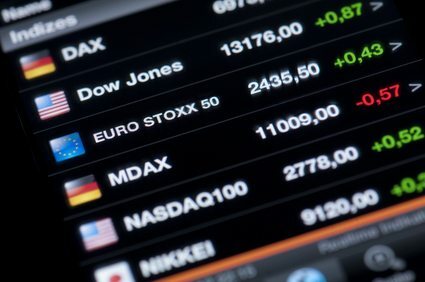 For United States we have S&P 500 and there is also Dow Jones, for UK we have FTSE, Germany has DAX and Japan has NIKKEI. Info on most traded ones! So what does affect to move indices? Since indices are the overal performance of a group of companies and each one of these companies is publicly traded and has stocks and voila! Stocks are the factor that moves indices up or down. If we take a look at how we would trade indicies in binary options brokers its pretty much the same as with all the assets we have covered by now. If you decided upon the analysis you took that the certain indica will go up, you will choose the UP and if you researched and saw there should be some troubles with certain indica and will go down for whatever reason, you choose DOWN. You have to keep in mind that when you trade indices, you are limited by trading hours of the index market you are trading. This is not 24-hour market as forex is so take a look at index you want to trade and take a note of when are the trading hours of that market or ask your broker. You do not want to trade multiple indices, it is better that you focus on trading one and get really familiar with it. Available for trading: 5 days a week. Check with your broker if it is anything different. Which broker offers S&P 500: Almost every broker has this in their asset list. Since this index is influenced by top 500 traded companies in US, there are many factors to determine where the value will go. You definitely need to keep an eye on the most big ones because usually it goes their way because of the volume they trade with. Which broker offers Dow Jones: Almost every broker has this in their asset list. It consists of only 30 large traded US companies and because of that its easier to trade since we have to know information about less companies then in S&P 500. Trading indices is definitely not one of the simple choices beacuse there is alot of things going on with determining where it will go. So if you choose to trade them, please do the needed research before, because it is a must in this case and always look for support and resistance in technical analysis.